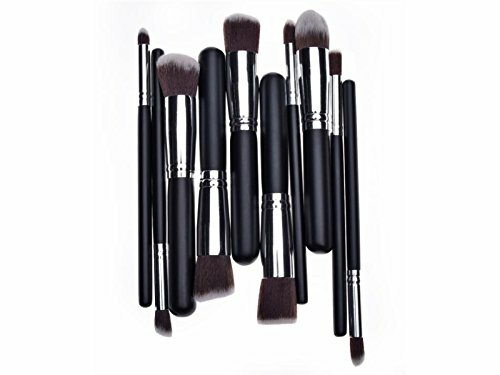 Comes with 10PCS brushes, which include 5pcs big brushes and 5pcs small brushes. Angular Blush, Flat brush, Smudge Brush, powder, foundation brush. It makes easy and convenient to carry for professional and personal use. It can meet your various needs in terms of make-up. It will be a great gift for yourself or your friends. Warm prompt: the light and the display resolution and other reasons, pictures and objects may slightly color difference, please in kind prevail. Color:Black wooden handle and silver aluminum bracket.